In a previous issue I discussed how a patient suffering with widespread chronic pain, depression, ADHD, menstrual difficulties, anxiety and insomnia could trace these health problems to the issues of chronic inflammation and oxidative stress. 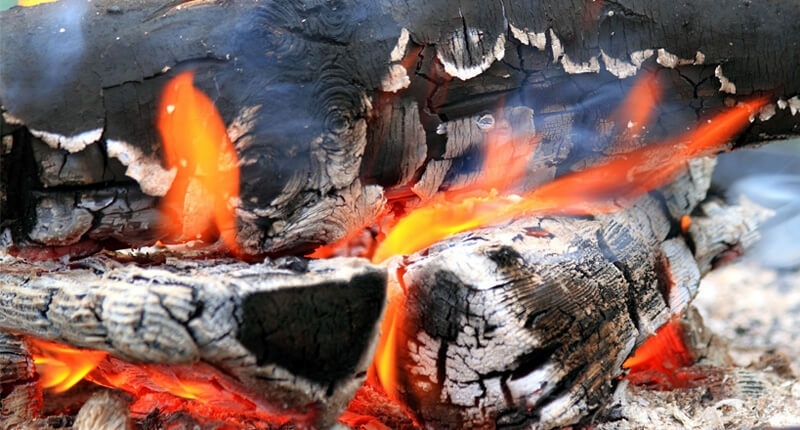 In this article I will provide you with specific wellness strategies in conquering the chronic inflammation and oxidative stress that may be at the source of many of your own health issues. No one prescription will work for all individuals, each treatment program must be individualized, but there are general wellness strategies that can be beneficial in starting you on the road to better health. As a whole we Americans tend to follow a diet of overconsumption and under nutrition, and we are exposed to thousands of neuroendocrine disruptive chemicals on a daily basis. Together this leads to free radical production in our tissues causing oxidative stress which then activates genes that turn on systemic low-grade inflammation . This dietary and lifestyle induced chronic inflammation increases oxidative stress which then perpetuates the more low-grade inflammation. This is metabolic dysfunction creates a vicious cycle that leads not only to chronic muscle and joint pain issues, but most of the degenerative diseases of today, including cardiovascular disease, type 2 diabetes, metabolic syndrome and cancer. A well rounded approach that gives you a fighting chance begins with cleaning up your personal environment. Start by lowering the amount of neuroendocrine disruptive chemicals entering your body by filtering your water, eating as organic as possible, and utilizing green personal care and household cleaning products. The work Iris R. Bell Ph.D. from the University of Arizona has shown that low-level chemical exposure can cause sensitization of the central nervous system leading to chronic muscle pain disorders and fibromyalgia. In addition to reducing toxic exposure and you will then want to enhance your cellular detoxification capability. You can achieve this by utilizing specific botanicals such as Silymarin, green tea extract, N-acetylcysteine and alpha-lipoic acid. (See table for suggested dosages) It is also very helpful to eat a more Mediterranean based diet which has been shown to decrease systemic inflammation . You can more effectively and efficiently achieve this goal by utilizing educational resources found on line. Do an "oil change" for optimal health and to reduce chronic inflammation. First drain out the harmful sludge-shown to increase systemic inflammation, oxidative stress and insulin resistance-by removing all Trans-fatty acids and hydrogenated oils from your diet. . It is also important to reduce your dietary intake of arachidonic fatty acid, primarily found in meat and dairy. Arachidonic fatty acid is the precursor to the inflammatory PgE2 prostaglandin that stimulates tissue nociceptors. Research shows when individuals lower the amount of arachidonic acid in their diet and supplement anti-inflammatory omega-3 fatty acids EPA/DHA they have a marked reduction of inflammation in myofascial tissues. After performing an "oil change" it is important for you to tune-up the cellular engines of your soft tissue by improving mitochondrial function, the very power plants of each and every cell in your body. Vital to accomplishing this is improving cellular levels of magnesium, a mineral that serves to activate over 300 different enzymatic reactions in the cell. A little more than one fourth of all the bodies' magnesium is concentrated in the muscles, where it performs vital function's especially that of energy production. The primary symptoms of deficient tissue magnesium are: fatigue, muscle tenderness, muscle cramps, irritability, weakness, mental confusion, insomnia and a predisposition to stress. Perhaps this sounds a bit like a laundry list of the symptoms that plague you, which is not surprising for research shows magnesium deficiency to be extremely common. Additionally it is helpful to add Malate and specific B vitamins with the magnesium to enhance energy production in your muscle cells. This increase energy production by the muscle cell allows it to fully relax which can reduce muscle tenderness within 48 hours. "Spice It Up With Ginger and Turmeric"
The supplementation of standardized extracts of Ginger and Curcumin can not be over emphasized in the treatment of chronic inflammation and oxidative stress. A 2005 review of the past 25 years of research on ginger's anti-inflammatory properties established that ginger helped to manage multiple biochemical pathways activated in chronic inflammation without blocking enzymes vital for maintaining healthy tissues, like NSAIDs can. Possibly one of the most exciting aspects of utilizing standardized Ginger extracts for chronic pain is its ability to affect Substance P in the central nervous system. In one study Substance P averaged three times higher in the cerebral spinal fluid of fibromyalgia patients, when compared to individuals without fibromyalgia. What is exciting about standardized extracts of Ginger root is that it contains the gingerol (6)-shogaol which research has shown to reduce substance P in the spinal cords of mammals. Much of the research on standardized Ginger root extracts for chronic pain disorders utilized anywhere from 1000 mg to 4000 mg per day. Based on my review of the research and my own clinical experience I find that best results are found with utilizing products that contain as much as 300 to 500 mg of standardized ginger root extract per tablet or capsule. Also the ginger root extract label must state that it has been standardized to at least 5% gingerols and shogaols. If this isn't enough of an incentive to add Ginger extracts to a healthy diet, then consider the fact that gingerols have been shown to inhibit the growth of colorectal cancer cells. As powerful as Ginger extract is, recent studies have shown extracts of Turmeric root, also referred to as Curcumin, to be the most powerful natural antioxidant and anti-inflammatory agent available. In numerous studies Curcumin extracts anti-inflammatory abilities has been shown to be comparable to the potent drugs like hydrocortisone as well as NSAIDs, but without the safety issues. In a full review of almost 300 research papers Curcumin was shown to be nontoxic, have strong antioxidant activity, and modulate numerous contributors to chronic inflammation. A recent study completed in 2000, also showed that turmeric extract protected the liver from acute and chronic toxic chemical injury. Both of these herbs have the added benefit of keeping your blood from getting too sticky, which of course helps prevent strokes and heart attacks much like aspirin has been shown to do. Because of the mild anticoagulant ability of these herbs, any individual on the drug Coumadin/warfarin must not take these botanicals, without consulting their prescribing physician. This article has only begun to scratch the surface of the causative mechanisms involved in chronic inflammation and oxidative stress and its treatment. However, once you begin to grasp the importance of this issue in your health it provides you with a lever large enough to adjust your metabolic dysfunction and promote real healing. The treatment of chronic inflammation and oxidative stress is covered in great detail in my book "Why We Hurt". Fibro and Fatigue? There is hope! (3) Giesecke T, Gracely RH, Grant MA, Nachemson A, Petzke F, Williams DA, Clauw DJ. Evidence of augmented central pain processing in idiopathic chronic low back pain. Arthritis Rheum. 2004 Feb; 50(2):613-23. (4) Bell IR, Baldwin CM, Schwartz GE Illness from low levels of environmental chemicals: relevance to chronic fatigue syndrome and fibromyalgia: Am J Med. 1998 Sep 28; 105(3A):74S-82S. 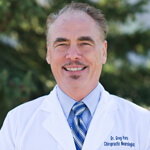 Dr. Greg Fors, D.C. is a Board-certified Neurologist (IBCN), certified in Applied Herbal Sciences (NWHSU) and acupuncture. As the clinic director of the Pain and Brain Healing Center in Blaine Minnesota he specializes in a functional medicine approach to fibromyalgia, fatigue, brain fog, digestive disorders, depression and anxiety. He is a sought after international lecturer for various post-graduate departments and state associations. 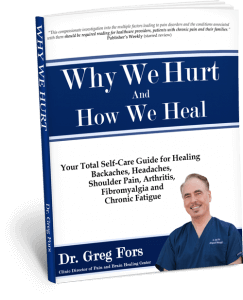 Dr. Fors is the author of the highly acclaimed book, “Why We Hurt” available through booksellers everywhere.